What kind of school is Visions? Visions In Education is a free public charter school that is fully accredited through the Western Association of Schools and Colleges (WASC). Our charter school provides parents and students an alternative to traditional schools. With Visions, a student can choose between our Home School, Independent Study, or University Prep programs. Is Visions In Education accredited? Yes. Visions In Education is fully accredited by the Western Association of Schools and Colleges (WASC). Credits earned while attending Visions are transferable to traditional public schools. Visions is a FREE public charter school! Where will I meet with my teacher? Visions teachers will meet with you at a mutually agreeable location in your community. Yes, there is a traditional graduation ceremony near the end of each school year. The ceremony is held at a location near the center of our service area so that it is convenient for all students. Visions In Education requires 220 semester credits to graduate. Students are typically enrolled as full-time students with a load of 30 credits per semester. If I am behind in credits, can I catch up and graduate with my class? This will depend on the student’s unique circumstance and personalized educational plan developed with the student’s counselor. Can I get my diploma from Visions if I am older than 18? Visions In Education does not offer a GED or Adult Education program. For more information, please contact our enrollment team at 1-833-883-1601. Does Visions In Education issue work permits? Yes, Visions In Education issues work permits to qualifying students in accordance with the law and ordinances set by the California Labor Board. Do you require testing? Where is the testing done? The California Assessment of Student Performance and Progress (CAASPP) program requires that all public schools in California administer standardized tests designated by the California State Board of Education to all students in grades 3 through 8 and grade 11. As a result, all students participate in all applicable tests. Students are typically scheduled to complete these tests at various locations throughout our nine-county service area. How do you serve students with special needs/IEP/504 plan? We support students with special needs through a variety of programs, including Response to Intervention (RTI), 504 plans, and special education. Response to Intervention (RtI): The Visions in Education RtI team meets weekly to recommend intervention supports for struggling students. 504 Plans: 504 plans protect and support students who have a disability that substantially limits one or more major life activities. Special Education: As a public school, Visions in Education (VIE) provides special education (IEP) and related services (speech, OT, PT, counseling) to students who qualify. The service delivery model at Visions is different than in other educational settings. In our home school model, where the parent is the primary educator, your student will not see a special educator (Resource Facilitator) on a daily basis. Your student's credentialed teacher and the Special Education Department will always work with you to make progress toward student goals within our independent study program. We look forward to working together as a team to create an IEP that is reasonably calculated to provide educational benefit for your student. Once your student is enrolled, a special education teacher will contact you and an interim Individualized Education Plan (IEP) meeting will be held within 30 days from the start of the school year to ensure that the best possible supports are in place for your student’s success. Do you have an English Learner (EL) program? Yes. For English Learners (EL) who can be successful in an independent study program, Visions provides a targeted curriculum, classes and individualized attention. What is the difference between the TK-12 Home School program and the University Prep High School program? University Prep students are planning on attending a four year college or university after graduation. Classes are taken online and students can contact content teachers for support by email or phone. Students can also sign up for Google Hangouts through the teacher’s virtual tutoring link. A-G/Honors courses are available to help students prepare for college/university. High school students in the Home School high school program are taught by their parent educator with the support of a credentialed teacher. Learn more about University Prep here. My child is college-bound, do you offer A-G/Honors courses? Yes, our online curriculum satisfies college and university admissions requirements. University Prep also offers required site based labs for Biology, Chemistry, and Physics. Spanish Voice Labs are offered through Google Hangouts. How can I finish high school at home? University Prep students complete classes, classwork, and exams online with their teacher’s support. Students meet with teachers in small student group meetings that are conducted in public places (coffee shops, libraries, etc.) within the students’ communities. How does University Prep work? Students complete their coursework in our online program with the support of their mentor teacher and content teachers. Students complete personalized projects using technology to achieve success in a standards-based curriculum. Core classes are supported by a content teacher who is available to students through email, chat, Google Hangouts, and office hours. The goal of University Prep is to prepare students to meet A-G requirements. All students will be enrolled in classes that meet these requirements. Visions students enjoy all the social opportunities other high school students have and many more. These include dances, student meeting experiences, and extracurricular writing classes. Activities vary by academy, but all students are given opportunities to socialize and make new friends. How can students be successful in the University Prep program? What is the difference between the TK-12 Home School program and the Independent Study High School programs? The main difference between the programs is the amount of parental participation required. In our TK-12 Home School Academy, the parent is the primary educator with support from one of Visions’ credentialed teachers. In our Independent Study Academy, the main educator is a Visions credentialed teacher and students work independently. In our University Prep Academy students learn using online tools to do independent and group projects, and meet in person regularly with teachers and other students. In Visions’ Home School Academy, parents select curriculum and educate their child in their own homes. Parent educators are assisted by a credentialed teacher that provides curriculum advice and to ensure that California State Standards are being met. Student progress is measured by regular work samples and testing that keep students on track to graduate high school. Learn more about home school here. What does homeschooling cost? Is it free? Yes! Visions In Education is a FREE public charter school. How do I know if homeschooling is for me? Homeschooling works best for families who want to take a more involved role in their child’s education. Home School families are provided with a budget to select their own curriculum from a variety of vendor options. Parent educators must be willing to provide four to six hours of instruction per day and regularly submit work samples for review. When can I start homeschooling my child? Students who have their 5th birthday between September 2 and December 2 are eligible to apply for Transitional Kindergarten (TK). This is a two-year kindergarten program. Students five years and older can be homeschooled at any time the parent chooses. What are the requirements / credentials to start homeschooling my child? Parents must be available to teach their students four to six hours a day, five days a week. Parent educators are not required to have any specific certifications as they are assigned a credentialed Visions teacher that provides support and ensures state mandated requirements are met. Parents meet with their Visions teacher once every 20 school days at a mutually agreed upon location. What do you need to get started for homeschooling? 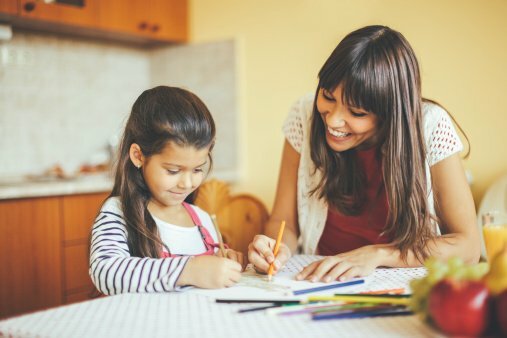 Visions provides home school parents with all the tools and support they need to start teaching their child at home; no teaching credential required! Our staff and faculty are committed to supporting parent educators every step of the way, from lesson planning to ordering materials and resources. We also provide funding for conferences if parent educators want to develop their teaching skills even further. How do home school students stay socially active? Home School Academy students enjoy a variety of social opportunities and school organized activities. These include organized play-days, harvest festivals, sponsored enrichment activities, and more! How can students and parent educators be successful in the Home School program? Learn more about what it takes to succeed at Visions here. Do we have to live in a particular school district in order to enroll? Visions In Education serves students in nine Northern California counties including Amador, Contra Costa, El Dorado, Placer, Sacramento, San Joaquin, Solano, Sutter and Yolo. We are authorized through a local public school district at the center of our service area. How old (young) do you have to be to enroll? Typically students must be at least 5 years old shortly after school begins and under 20; however the requirements can be complicated, so please call us toll-free at 1-833-883-1601 if you or your student is close to either of these cutoffs. We accept applications throughout the school year for current and future semesters. Click here to start your application today. Can I apply after the school year has started? Yes, students are encouraged to apply at any time during the school year.